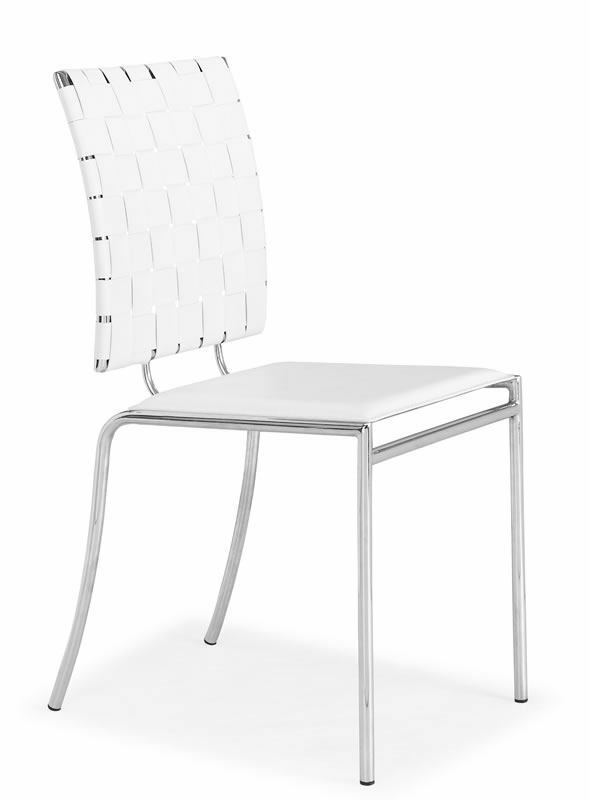 The Criss Cross Chair makes an excellent addition to any contemporary dining room. 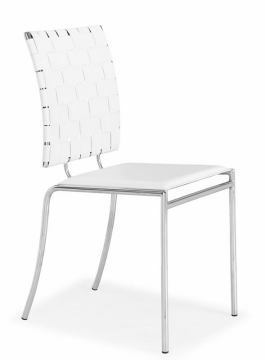 This modern chair features a leatherette strap back and solid flat seat, complemented by a sleek chrome steel tube frame. The Criss Cross Chair works great with both traditional and modern dining tables, as its great look inspires without intimidating. 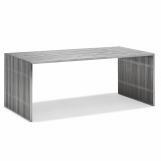 17”w x 21”d x 35”h"
About Zuo Modern: Our mission is to create a brand that our customers can rely on bringing cutting-edge design, strong value, and excellent quality. The Zuo name is synonymous with affordable cool, a true world-wide brand. 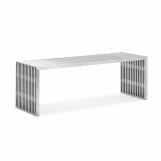 In 2011, we created distinctive product lines with Zuo Modern Furniture, Zuo Outdoor, and Zuo Accents to give us more breadth and depth in our product offerings. The goal is to provide a total design space experience for all of our customers, residential or commercial. One-stop shopping that is culminated under one brand name and one great look.